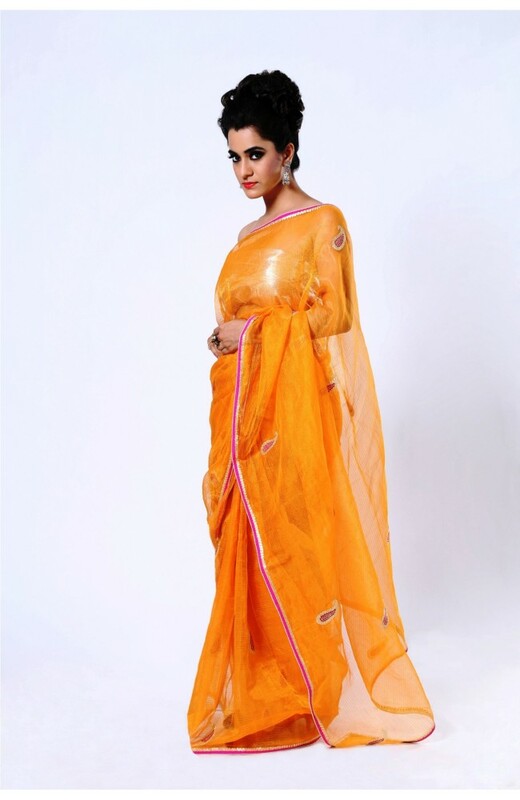 Elegant and extravagant, this orange Kota tissue saree is a must-have for any designer collection. The beautiful sculpted paisley-motifs on the entire saree are woven in pink threads and gold kasab pittan work. 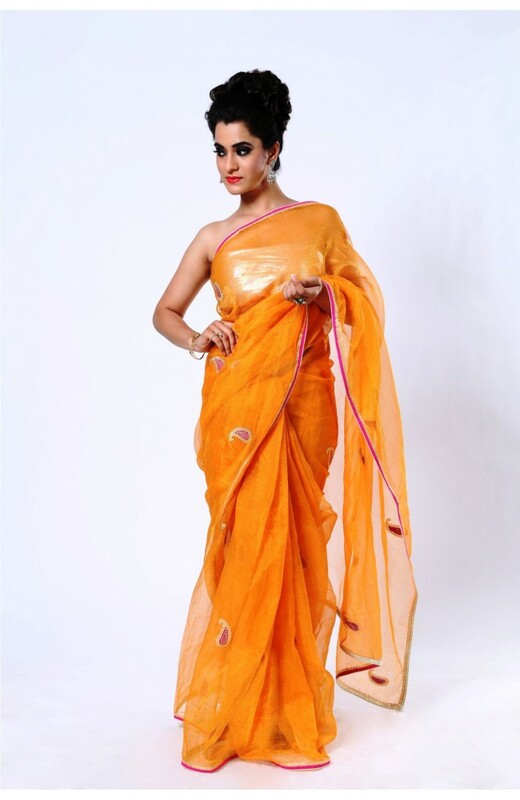 Further a gold and pink pipin on the edge creates a dramatic contrast, making this light weight tissue saree a desirable choice for any fashionsita. A matching blouse in tissue with similar detailing completes the piece.